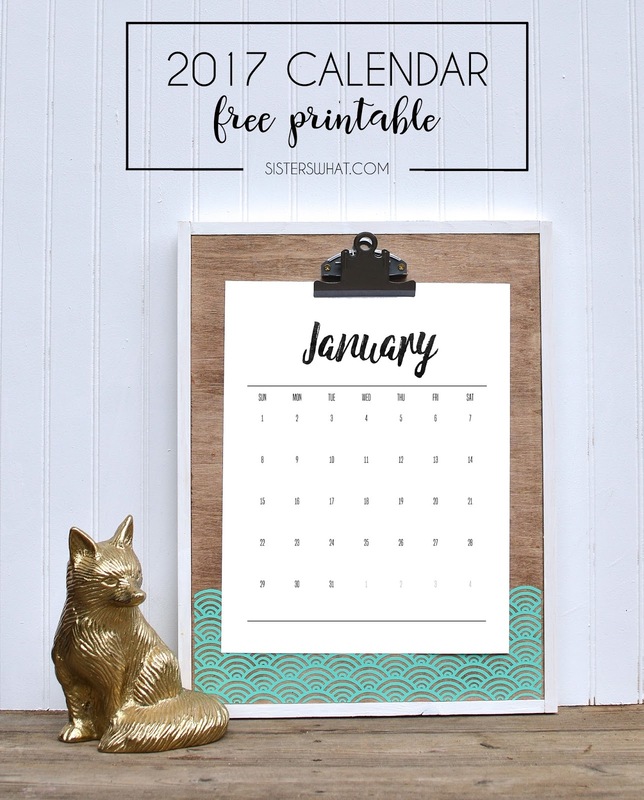 ' 2017 Calendar Free Printable - Sisters, What! 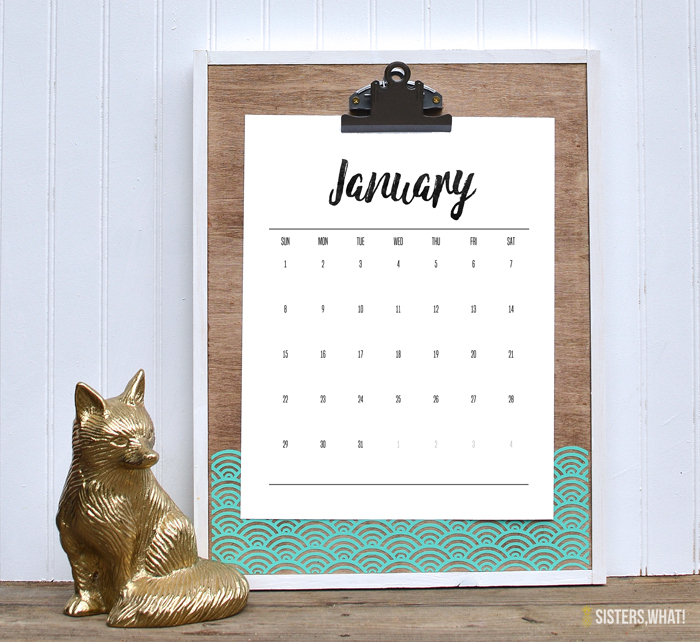 These 2017 printable Calendars are easy to print off and put on the fridge, in a frame or in a binder. 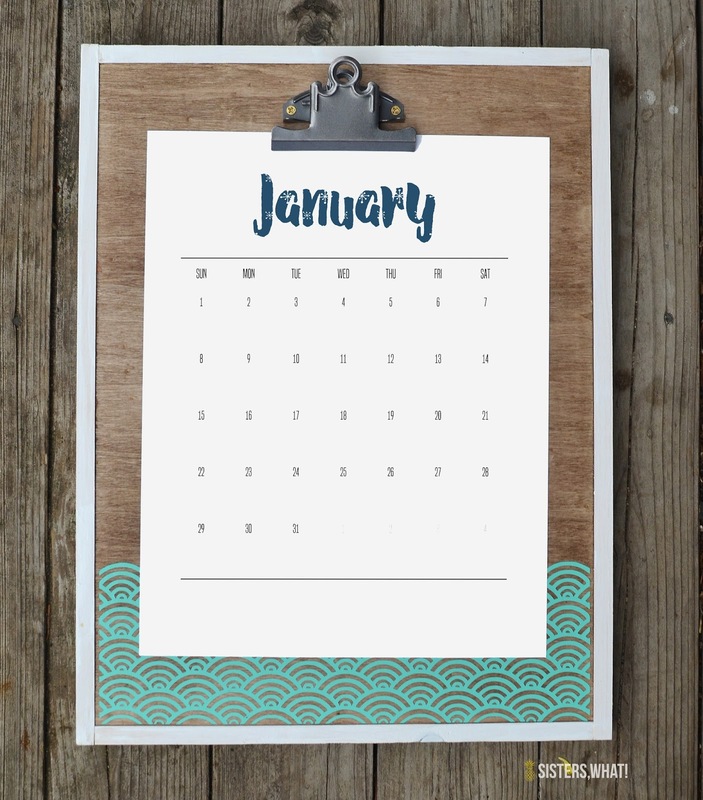 I don't know about you, but one of my biggest priorities come new year is getting a new Calendar. 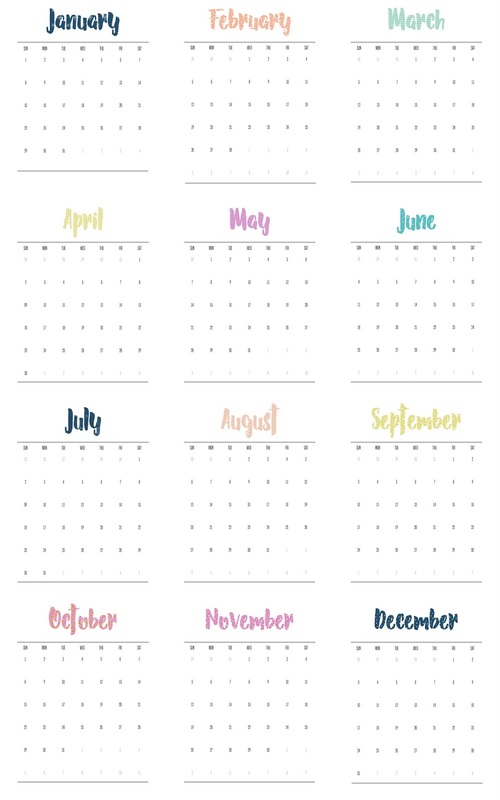 I use my phone calendar for scheduling things, but I have to have a calendar to look at in my room and kitchen. I'm very visual and I like to see my life laid out in front of me, otherwise I go crazy (I also prefer analog clocks for the same reason - helps keep my insane brain on task). 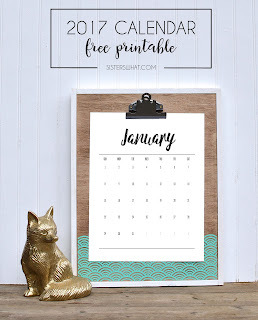 Anyone else crazy like me about calendars?? 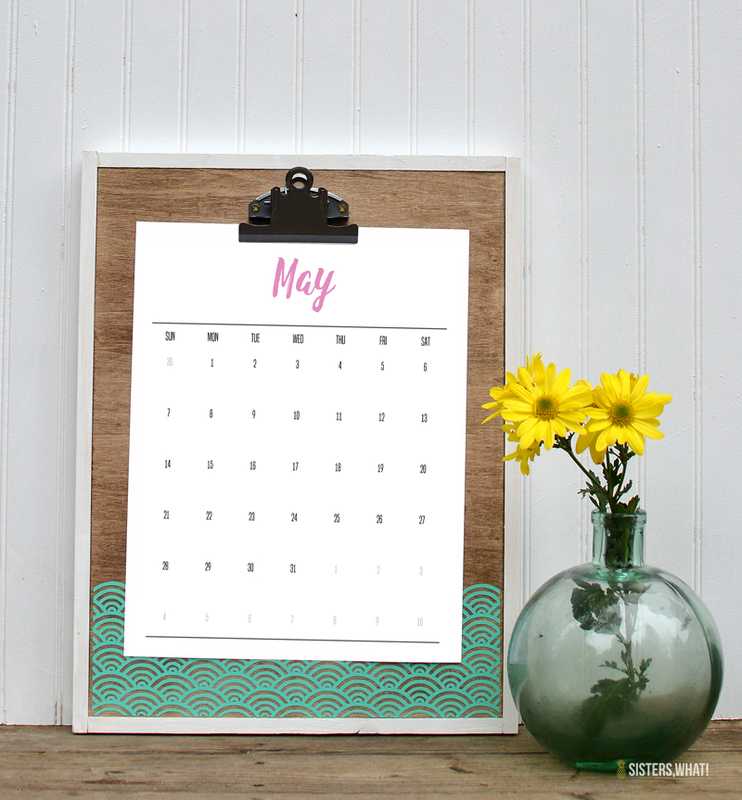 I usually grab one from Target's dollar spot, but this year I wanted one to put in my new DIY clip board and one that was vertical. Basically, I had too many specifics, so I decided to just make one myself. I couldn't just decide on one style of color or font, so I designed 3 different ones, ha! Story of my life! I created a handwritten version in black and one in colors and then I had to do one with patterns. Seriously, I had way too much fun. Well, I couldn't keep this all to myself after all that work, so make sure you go download all or the one that speaks to you.